Gyumri is famous for the buildings from different periods which have been constructed with unique materials, using traditional construction technologies and including decorative elements. As the city develops and grows over time, improvement projects are required to be initiated which will advise on the best ways preservation and conservation of the historical layer. 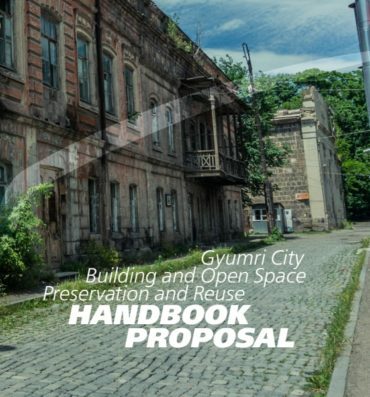 The “Gyumri Project Hope” Foundation has taken the initiative to propose and develop a handbook of how to preserve historical buildings and how these buildings can be used today. The document is created based on best international practices and similar projects and initiatives. The main goal of the handbook is to use Gyumri as a pilot city and a model for heritage preservation in Armenia and neighboring countries.